New Male Voice add-on has been released. 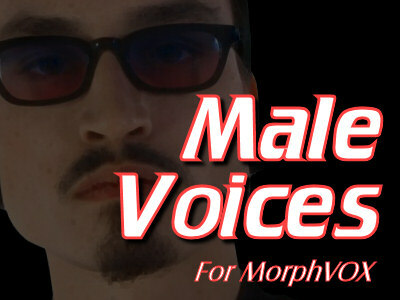 This voice-pack includes six new male voices. Sound like the smooth Mister Voice, the growly Tough Guy or the pencil-necked Nerd. Using the latest in filter and vocal technology, Male Voices can produce some natural transformations. This free MorphVOX voice add-on is easy to download and install.